Whether you’re hoping to become pregnant or want to have the best possible health for your growing baby, we’re here to help you. Your pregnancy is a time filled with incredible changes that lead up to one of life’s most exciting occurrences – the arrival of your new baby. Stress on the mom, however, can mean stress on the baby and lead to pain during pregnancy and birthing complications. 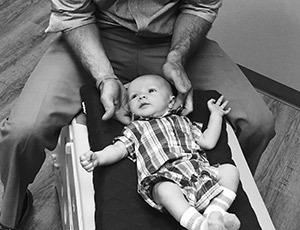 With regular chiropractic checks, we can ensure your body stays in balance so that you and your baby are healthy. Often, we see practice members who are having trouble conceiving. We’ve found that stress put on your nervous system can play a role in your ability to become pregnant. With regular chiropractic care, you can be stress-free and able to conceive, have a comfortable pregnancy and ensure the health of your growing baby. 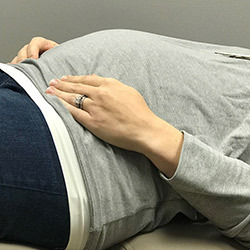 Chiropractic adjustments on expecting moms can be done comfortably with pillows that support you, even when you’re unable to lay on your belly. These adjustments are extremely gentle, posing no threat to you or your baby. With your nervous system free from subluxations, you can go into the delivery room ready for a successful birth. Though you may have had a positive delivery experience, there’s always a chance of stress on your new bundle of joy. We recommend that you have your baby checked as soon as possible after they’re born to gently check their alignment. Give your family the best possible chance at living optimally. Schedule your first appointment with our friendly, professional team today!